I am no expert but could some one tell me if the proposed lenticular Apollo re-entry capsule could have been landed on the rubber flight deck as developed by the RN/FAA. This was known technology by the time that the lenticular concept was considered and could have been scaled up for land based use. Is this pie in the sky or a practical peoposition? I can hardly claim to be an "expert" but I have found this concept very charming and so tried to find out what I could about it; someone who actually knows more in contradiction of my impressions could correct me, I hope. Note that Alan Kehlet was not just some random enthusiast; he was a member of NASA's Space Task Group New Projects Panel, and worked at the time at NASA's Langley campus, the "mother chapter" of NASA as it were as it was the main campus of the predecessor NACA organization. When I put in a hopeful bid for lenticular craft of some kind emerging from Faget's group, I was considering that between the likely advocacy of Kehlet or someone like him, perhaps on Faget's own team as seems not too unlikely, and the fact that the idea seems to have cropped up independently in the military research projects of OTL, that Faget might consider this approach as a kind of "capsule" and not something antithetical to his basic concept. I think I didn't link to his particular design, because I was highlighting the high hypersonic lift ratio of another version, so here's the Encyclopedia Areonautica link. I'll quote and highlight some of it because I for one find that the current location of Mark Wade's opus is full of frustrating advertisements that make loading the pages buggy, and his system of spreading information around numerous almost but not quite identical entries is a bit maddening to follow. In 1963 Kehlet, together with Dennis Hasson and William Petynia, were awarded US Patent 3,090,580 for the idea. I forget if I ever tried to search for that patent; links to it in this article don't work. But that ought to be a helpful if frustrating document to read. A lenticular vehicle would be capable of performing manned orbital and space missions, while possessing the atmospheric maneuverability of fixed wing aircraft. Winged and asymmetrical lifting body designs were capable of atmospheric maneuvering and glide type landings. However, for a fixed maximum total vehicle weight requirement for a given mission, the winged and the asymmetric vehicles required reentry thermal shielding over a much larger vehicle surface area, and heavy booster-vehicle adapter due to asymmetric loads during ascent to orbit. A lenticular vehicle with foldable aerodynamic control flaps pivotally mounted on the upper convex vehicle surface solved these problems, while having the additional capability of horizontal land or water landings without the use of landing gear. The control flaps were adapted to form a continuous extension of the upper convex vehicle surface when retracted during the launch and orbital stages of the mission. They were deployed to the extended position only after reentry into the atmosphere. The spacecraft included individually actuated reaction jets positioned on the vehicle's upper convex surface for attitude control outside of the atmosphere. The lower convex surface formed by a relatively thick, curved heat shield. This served two functions. It protected the vehicle and its occupants from the heat generated during reentry into the Earth's atmosphere. It also acted as a "skid-rocker" for the vehicle. The use of such a heat shield enabled the vehicle to land on hard surfaces without developing high impact loads, thereby obviating the need for providing additional, heavy, complicated landing gear. The vehicle could be provided with an extendible nose ski for landing on water. That last sentence is apparently a bit misleading, based on NASA reports on landing characteristics of models on water. They did try to mess around with water skis and other tricks but they didn't seem to help enough; the thing bounces when it hits water. I would guess that yes indeed, it could land on a flex-deck--well maybe. The same NASA reports seemed to indicate it would perform as Kehlet expected on hard runways, but I forget how long the skidding, rocking glide on the runway would be. If it would be too long, then presumably either the craft would skid off a flex deck that is too short, or if the deck were made with a higher coefficient of drag (as I believe the idea was to do) perhaps instead of being brought short in a shorter distance, the lenticular craft would just rock more, so much it rolled over. It would probably do as well or better on a conventional carrier deck; a tail hook would not be too difficult or heavy to include! Anyway aiming at a carrier in the middle of the ocean is risky since the alternative if it misses is a water landing. The best way to look at it I guess is that it is the most capsule-like type of high-manueverability reentry system, or the most space-plane-like capsule; it sits in the middle of the spectrum. I like its geometric symmetry, how the planform is circular and thus compact. The claims of lowest exposure of afterbody to reentry heating are not relative to capsules but to alternative maneuverable bodies. And it is certainly true that capsule types do have some maneuverability, perhaps adequate to the task at hand. Kehlet was charmed by the idea of avoiding having to make any type of landing gear, as a weight saver and also I suppose because it meant less compromising of the heat shield with hatches or other penetrations. He also liked the subsonic maneuverability that comes from extending auxiliary lifting surfaces that resemble beetle wing covers (a pure circular planform at subsonic speeds would be unstable in lift due to having the center of lift concentrated forward of the geometric center, leading to a moment that flips it over to maximum drag; at subsonic speeds there would have to be something to give extra, and controllable, lift at the back). It would be possible to forego both these alleged advantages with their associated liabilities (tricky water landings requiring more auxiliary equipment; retractable aerodynamic surfaces that are of no use in the space mission and might possibly not deploy correctly) and simply use parachutes as the craft drops below sonic speed as per the capsules Faget favored. We would then still have some solid advantages regarding hypersonic maneuvering; superior high-speed L/D means not only a superior ability to control the landing point, but also options to reduce G load on a nominal reentry, while also allowing for a widened range of reentry angles--high L/D suggests to me that a too-steep entry can be compensated for with higher lift shallowing it out and vice versa, too shallow can use negative lift to drive the craft into denser air. Thus aerodynamic hypersonic maneuvers can be undertaken with greater confidence and a great range of options that may allow for spreading out the heating of atmospheric skipping or reentry, to minimize the risk of heat-shield failure. I particularly like the idea that the basic design might scale up a lot, enabling eventual concepts like a reusable translunar booster stage; after sending a payload on to the Moon from a parking orbit, a large lenticular shell might be able to continue on a free return orbit back to Earth (with minimal or no maneuvering from the trajectory it sent its Lunar payload on) and do a skip-brake on the upper atmosphere, sending itself to a low apogee where a small circularization maneuver can return it to a space station or simply set itself in parking orbit awaiting refueling and another payload. A variation on this theme, somewhat bigger and requiring long-term storage of fuel, would have the Lunar mission stay with the transfer craft, the latter entering parking orbit (or say Lagrange point rendezvous) while an expedition leaves it LOR style--when they or another batch of returnees come back, the ship again launches itself into an Earth return trajectory, maneuvers off the atmosphere with passengers aboard, and returns them to LEO for final return to Earth by standard means. President Muskie’s announcement of what was to become Project Columbia was not widely reported in the USSR. The return of heavy censorship under Shelepin meant that few outside of government or military circles were aware of the details of his speech, with the coverage in Pravda limited to a general denouncement of Muskie’s imperialist agenda. That select group who were kept more informed included the Chief Designers of the Soviet space industry, and their reaction was a curious mixture of hope and fear. The source of the hope was obvious. For much of the past decade, the direction of America’s plans in space had acted as a spur to the Soviet government to match their Cold War adversaries. Without America’s Dynasoar and Minerva projects, there would be no Raketoplan or Proton, and even Mishin’s Chasovoy space station would have been at risk of cancellation without the impending threat of DOS. If the Americans were now going to travel to the Moon, there was a good chance of persuading the Politburo to look again at their own lunar proposals, which had languished unread in Defence Ministry filing cabinets for the past few years. The source of the fear was more complex, and was part of the general mood of the times. Heavy censorship was not the only echo of Stalinism that had returned under Shelepin, and each of the Chief Designers had had key personnel “reassigned” over the past few years, with just one high-profile example being Chelomei’s capable deputy Sergei Khrushchev, who had been sent to manage a metal-working plant in Novosibirsk. Whilst none of the Chief Designers themselves had yet been purged in this way, the sudden replacement of Mitrofan Nedelin by Boris Suvorov as head of the Military-Industrial Commission in March 1968 indicated that seniority alone was no sure protection. Usefulness to the regime was a far more reliable shield against sudden removal, and in this respect by far the best placed member of the KKRD was Mikhail Yangel. Whilst Chelomei and Mishin had spent the ‘60s fighting each other for control of prestige projects, Yangel (and to a lesser extent Glushko) had quietly got on with the work of turning out reliable, effective missile weapons systems. Following the ouster of Khrushchev, Chelomei had been stripped of many of his responsibilities, whilst Mishin, the ostensible victor, saw his budget for manned spaceflight cut back. Glushko had also seen some of his funding withdrawn, in particular his research into hydrogen-oxygen and methane-oxygen engines (although, ironically, funding for his belated efforts on large kerolox engines was increased), but Yangel had received a boost in funding as the government worked to expand the Soviet armed forces, including the nuclear deterrent. Taken together with Yangel’s well-established role as an arbitrator and peacemaker between the squabbling factions of the Soviet space industry, this gave him a new prominence as the 1960s drew to a close, and in 1967, at Ustinov’s urging, he had been named a Candidate Member of the Central Committee. It was therefore Yangel who agreed to coordinate and present a joint KKRD recommendation for a response to Columbia to Suvorov and the Politburo. Agreeing what that joint recommendation would be was no simple task. Both Mishin and Chelomei had long harboured their own plans for lunar travel, but both concepts relied upon large new rockets to implement them. Despite a considerable amount of conceptual design work carried out in the early ‘60s, since the reassignment of the UR-500 “Proton” to Yangel’s OKB-586 Chelomei had been unable to obtain funding to conduct a detailed design of his UR-600 heavy launcher. Yangel and Glushko had made some further progress on their R-56 design, with Glushko performing ground tests of the RD-271 engine intended to support the heavy launcher, but completing its development would still take a minimum of five years and hundreds of millions of rubles. Meanwhile, TsKBSO’s M-3 rocket was still no more than a concept, and even Mishin was forced to admit that it could not possibly be ready in time to meet the American deadline. So, like von Braun, the Chief Designers were forced to scale back their plans and focus on what could be done with the launchers already to hand. The discussion therefore immediately focussed on Proton, the largest launcher in the Soviet inventory. Now over the worst of its early development problems, Proton was becoming a reliable workhorse, but Yangel’s analysis showed that the rocket would be able to put less than 6 tonnes of payload onto a Lunar Transfer Orbit. This meagre mass budget would pose a severe challenge to the designers, but Mishin felt that he would be able to squeeze within this constraint with a one-manned upgrade to his Zarya capsule that could be ready before the American target date of 1976. Chelomei countered that his more modern Safir capsule, developed as part of the Raketoplan system, would be light enough to support a two-man crew on a circumlunar mission. The compromise Yangel negotiated was a short-term circumlunar mission using an upgraded Zarya capsule to be launched on his Proton booster carrying a single cosmonaut. This would all but guarantee a Soviet flight around the Moon before the Americans. In parallel, Chelomei would continue development of his Safir capsule, with the aim of allowing more capable lunar missions in the future, including a potential direct-ascent landing mission. Mishin’s TsKBSO would lead early development of the M-3 superbooster to support these future missions, in collaboration with Glushko and Yangel, with a full landing mission targeted for 1978. Yangel’s compromise was put to the Council of Ministers in November 1970. By this point, with Brezhnev having been removed from the Chairman’s position, the Council had been filled with Shelepin’s picked men and wielded even less power than it had under Khrushchev, now taking its orders directly from the Politburo. Within that Party grouping, there were concerns beginning to be muttered that Shelepin’s massive military build-up was stripping the economy bare, with internal Party numbers showing that the USSR’s annual Net Material Product (NMP, the Soviet version of GNP) had grown on average just 3.1% between 1965-70 (as opposed to the 8% growth published in official government reports). Shelepin’s firm grip on the KGB and his supporters in the military meant that these voices stayed subdued, but in areas like space travel, where the General Secretary had not invested his personal support, a few concerned Politburo members were able to swing the rest away from large new expenditures. M-3 and a Moon landing were therefore off the table, and Yangel ordered to definitively decide between Zarya or Safir. The state would not spend money developing two parallel spacecraft when it was already paying for Zarya and Orel for Earth orbit missions. For now, the focus would remain on extracting military value from already funded projects. Manned missions to LEO were becoming more and more routine by this point, both for the USSR and the USA. Although the large Dynasoar Orbital Laboratory was facing continuing delays, by 1968 its smaller brother, the Dynasoar Experimental Lab (DEL), was ready for its first mission. Launched from Vandenberg atop a Minerva-22 in April 1968, the DEL replaced the Mission Module of the Mk.II glider Thebe, making her first flight into space. The mission commander was Mercury-4 veteran Bob White, accompanied by two rookies of the Air Force Astronaut Corps’ 1966 intake, Larry Hanson and Doug Boone. The full glider-plus-DEL stack, massing just over 15 tonnes, was placed into a near-polar low Earth orbit at the start of a ten-day mission. Although the launch was given considerable publicity, and the astronauts gave a brief 10-minute radio interview “Live from Space” on day two if the flight, the bulk of the mission was shrouded in the type of secrecy that was becoming customary for Dynasoar flights. Almost nothing was publicly revealed about the experiments flown, and even the orbital parameters were kept secret. However, with her increased size, large solar panels, and the constant flow of (encrypted) radio traffic, an informal network of international space enthusiasts were able to track the complex and would later publish detailed overviews of DS-9’s orbital movements in articles for Aviation Week, Spaceflight, the Journal of the British Interplanetary Society and similar specialist publications. These amature space sleuths discovered that despite the greater mass of Thebe-DEL (a third again heavier than Athena on DS-8), the space station conducted a number of manoeuvres in total exceeding 200 m/s delta-v. This was close to the upper limit estimated for the Mk.II glider with a standard Mission Module, and suggested that a considerable propulsion capability had been included in the DEL. Although the Air Force refused to comment on these articles, in private the Pentagon was split between those who wished to keep all aspects of DEL’s capabilities secret, and those (mostly working in intelligence) who were interested to see just how much data an uninformed opponent could uncover. After all, they reasoned, if amature skywatchers could work it out then surely the Soviets were drawing similar conclusions. Finding out just how much could be deduced would highlight which activities gave away what information, and so help to make future missions more secure. Whilst testing the manoeuvring capabilities of the DEL was indeed one of the objectives of the DS-9 mission, the crew spent most of their time trying out operational procedures for real-time intelligence gathering using a system of NRO-supplied cameras. This would involve Mission Control at Vandenberg first informing the crew of any updates to the pre-flight target list for a given orbit. Based on this list, White would adjust the ship’s orbit and attitude as needed, while Hanson manned the main high-powered camera and located the primary target. If the target was obscured by clouds, he would switch to an alternate target. In the meantime, Boone was manning a forward-facing wide-angle camera to get a first-look at potential targets-of-opportunity along the flight path. While the DEL was passing over Earth’s night-side, copies the most promising shots were developed on-board and scanned by the crew for faxing back to Earth. This might then result in an update to the target list for the next time that region intersected DEL’s ground track, normally the following day. Although this method of working was hoped to increase the flexibility and efficiency of satellite reconnaissance, in practice several problems were found. The first of these was simply that the small size and mass limitations of the DEL meant that even its high-powered ‘scope was nothing like as powerful as the instruments now standard for the NRO’s spy satellites. Even with this reduced magnifying power, several images were found to have been distorted by the movement of the astronauts within the craft, a problem which would only be worse for a larger instrument. Also, the use of the forward-facing target-of-opportunity imager was found to be quite limited, as DEL’s orbital speed meant that by the time a target was assessed as being worth imaging, there was no time left to re-target the main camera. The ability of the astronauts to quickly switch from cloud-covered primary targets to clear-skies secondaries was effective, and prevented the capture of a great many pictures that would have proven unusable, which in theory extended the lifetime of the system by making the film stock last longer. However, given the mission was limited to ten days in any case by consumables limitations, this was hardly a major consideration. Engineers on the ground quickly realised that it would be far cheaper and easier to take out the men and their heavy life-support and return systems, using the mass saved to carry more film. One final experiment that did show promise was carried out during an EVE by Bob White on mission day 7. Following the example of Paul McEnnis, White exited via the access hatch atop Thebe’s cockpit, with Boone and Hanson also suited up in the vacuum-filled glider in order to be able to offer assistance in case of an emergency. Unlike McEnnis, White was able to use an extendable ladder deployed from the DEL to pull himself along the glider’s exterior far more easily than using the unwieldy “MAD pole”, and additional handholds built into the DEL’s hull greatly simplified is movement to the externally mounted Film Replacement Experiment. This consisted of a box-like canister, approximately one metre by sixty centimetres in area, containing a prototype film cartridge system designed specifically for easy replacement by a spacesuited astronaut. Using a simple tool attached to his suit, White was quickly able to release the outer door and extract the cartridge. He then put it back into the canister and locked it into place, demonstrating an ability to replace film on an operational system, before once more pulling it free and taking the cartridge with him back to the glider’s cabin. Where McEnnis’ EVE had demonstrated that men could survive open space, White’s spacewalk for the first time demonstrated an ability to perform useful work. DS-9 may have shown that a manned system wasn’t the best choice for high-powered photoreconnaissance, but perhaps there was still a useful role that man could perform in orbital servicing. That Chelomei fallen from grace after ouster of Khrushchev, that obvious. but ban him to a metal-working plant in Novosibirsk ?, He's lucky, under Stalin he would be shot ! Again like OTL the Soviet Rocket designer face losing resource toward Military ICBM armament. Seems that Yangel and Mishin have to team up for manned soviet moon flight. It's 67.8 m long and consisted of three stages, the first two with a basic diameter of 6.5 m.
The first stage had a flared 8.2 m diameter base to accommodate the 16 RD-253 or here four RD-271 engines. To be transported on the Soviet internal canal system from the factory to the launch site. Chelomei hasn't been banished, but rather Khrushchev's son, Sergei. He fared rather better IOTL, only leaving Chelomei in 1968, and then to head into computer development. Very interesting seeing the difference in US spaceflight with the emphasis on military application over just civilian usage. Of course the Pentagon is where the big bucks are located for procurement so it might not be a bad thing. If the Proton booster is operational already, and the Zarya craft is essentially similar to a Soyuz, then I don't think anything stands in the way of the Soviets being ready to send a cosmonaut or two circling past the Moon within just a couple years, if they even need that much lead time. A Proton could orbit some 20 tons, and a survivable craft for a week for two men need not mass much more than than the 6 tons of a stripped-down Soyuz such as the Zonds of OTL; the balance of the mass launched on the Proton would then be fuel--even with the lower ISP of hypergolic fuels compared to hydrogen/oxygen as the Americans used OTL for translunar injection, the 20 ton allotment should be plenty to cover what is needed to send a Zarya on its way toward a Lunar encounter. What it could not do of course is make orbit around the Moon nor land anything let alone have it return. The Lunar flyby is quite feasible; a landing would require a project of different magnitude entirely--I'd guess, after some thinking about it, 2 Proton launches, more likely 3, to assemble a minimal landing and recovery capability--on the light scale of OTL Korolev's LK with Lunar orbit rendezvous, a one-cosmonaut mini-lander to enable them to step out, plant a Soviet flag, grab some rocks (not too many, there isn't much of a mass budget! ) and go back up to meet an orbiting craft of the Zarya-Soyuz sort of class. To provide the delta-V to send these two spaceships, light as they are, not only on the way toward the Moon (from which the flyby returns by free-return orbit momentum) but to stop there in lunar orbit, and then land the lander and have it able to take off again, and then boost themselves back to an Earth return path--that's way more costly than just sending the single Zarya on its way once. It might be doable in just 2 Proton launches, that is just 40 tons in orbit, if they go ultra-light and take a lot of risks and pare it down to almost nothing. 3 might enable a more substantial and less recklessly risky mission. But to match Apollo mission capabilities, they need to send at least 40 tons, more reasonably 50 or 60, to TLI, and that, given the lower ISP of either hypergolic or kero-lox fuels, means some 8/5 more mass than that in propellant and tankage and rockets--130 tons to match Apollo, and that's over 6 Proton launches right there. If the Soviets had been working on developing high-energy hydrogen-oxygen engines for deep space applications, or some more exotic equivalent that actually worked out, I'd guess they might get by with less mass than Apollo required. But I don't believe the ones ITTL have given themselves that sort of edge, so they need the same mass the Americans needed OTL, to achieve a lesser result with inferior fuels. The trouble with the Soviets being able to do a translunar flyby pretty much with off the shelf equipment is that the Americans are almost there too; a heavy Minerva launch can match the Proton, and while the Americans don't have a capsule-based reentry system comparable to Zarya's in regular service that they can just beef up for reentry at translunar speeds, and the favored spaceplanes would be extra costly to send on these missions and perhaps problematic compared to a simple capsule in reentry, on the other hand the Americans do have high-energy hydrogen-oxygen engines ready to hand, in the form of the Centaur's RL-10, which I've learned in this timeline actually is more mass-efficient, with a higher iSP, than the OTL J-2. The latter was much higher thrust of course, necessary on a launcher engine--but not so vital in orbital applications; I figure a rocket can achieve accelerations as low as a fifth of a G, about 2 meters/sec, over the course of a TLI burn from low orbit, and still get the job done reasonably efficiently. So, if the Americans feel the heat of Soviet competition to meet the milestone of a Lunar flyby first, their biggest problem is lacking a spacecraft design ready to hand; given they have the same 20 ton to orbit capacity the Soviets do but can make 10 instead of 6 of that tonnage count as actual spacecraft headed for the Moon, they can simply upgrade a Mercury capsule (making it bigger for two men if they like) to be able to survive the doubled energy of return from the Moon, and add to it a mission module comprising extra habitable space (and instrumentation, cameras and so forth) plus course correction propellant and engines to effect same. As the craft approaches Earth the astronaut, or pair of them, shimmies into the Big Mercury, seals it up and discards the rest of the ship (having hauled over the film etc from the flyby, and with electronic records having been recorded on a recorder in the capsule) which burns up handily while the capsule safely reenters and lands. That's a sensible fallback in case they'd rather do something fancier but might not have the time. For a Lunar landing, again it is all more complicated and demanding, again they are going to want four or five Minerva launches which suggests difficulty in using the advantage of hydrogen fuel, since batches of it send up on earlier launches will boil away waiting for the later launches. Well, one might be clever and come up with ways to send the hydrogen up absolutely last (it doesn't mass much after all; all of the hydrogen needed, as opposed to the oxygen, could easily fit on a single launch I suppose) or other workarounds, but as long as their launchers top out at 20 tons per launch, any deep space mission is going to be assembled out of many such launches. Honestly, it does seem to me that despite the baneful influence of Shepelin, the Russians and Americans are pretty nearly evenly matched at this point. The Soviets have a fundamentally weak and overstretched economy--this seems perhaps worse than OTL at this point and I see little prospect of a turnaround, so probably the Soviet Union of TTL is doomed to collapse within a couple decades, and might go down more violently than OTL. For now the regime will not seem quite so vulnerable and I suppose if it does collapse ITTL it will still take a lot of people by surprise. But for now my point is, the Soviets need time to develop anything really revolutionary. They have no shortcuts available, and also the regime is not in a mood to fund many alternative paths and see which one matures first. So, they are not likely to have a launcher superior to the Proton (unless they've already got one) any time soon. They are not likely to have reliable hydrogen-oxygen engines, or anything they don't have on the shelf. This is true even if space achievement becomes a regime priority, because the resources the state can divert in the direction of development are not of extremely high quality. Those who know my opinions in other time lines will realize saying all this makes be sad, but there it is. The Soviets are competitive with the Yankees at the moment, in the arbitrary game of scoring points on Lunar firsts, but mainly because the Yanks have not been applying themselves. And to be fair--it seems unlikely to me they can either, to the degree that Apollo was given high priority OTL anyway. Unlike the 1960s, there is less political unity in the USA about the importance of "beating the Reds;" there is less economic largesse available due to a stagflation economy that lies ahead. The Americans too are going to be taking the first and cheapest option that comes along and not comprehensively studying, let alone developing, possibly superior options. The difference is, we can expect the West to come out of the economic trough it is headed for now sooner or later, and then if space missions seem important, the resources will be forthcoming. The Soviets I fear are on an irrevocable downward spiral that can only lead to the regime breaking down, or anyway merely limping along North Korea style, by the time the 90s roll around. Indeed, Khrushchev Jr got a rougher deal ITTL - it seems Shelepin is even less forgiving than Brezhnev. Ustinov is also out to make Chelomei’s life difficult, so reassigning one of his top lieutenants to a dead-end job is probably getting off lightly. Officially Chelomei is still a Chief Designer, so still has a voice at the KKRD, though a much-reduced one. The R-56 was mentioned back in Part-II Post#8, and is largely identical in concept to its OTL namesake (which is why I kept the name). The same people attacking the same problem with a very similar context, so it seemed logical they’d come up with a similar solution. The same thought struck me after I rendered it! I’ve largely constrained myself in this work to producing renders that could have been taken by someone with a camera ITTL rather than the “God’s Eye View” I’ve used elsewhere, so showing the full glider-plus-DEL in space was problematic. (That’s also why we only saw Zarya in a museum). Maybe I’ll change policy in the future, at least for technical supplementals in the Wiki. Yep, being useful to your paymaster is an important aspect of engineering on both sides of the Iron Curtain. As Jafar said, it’s the Golden Rule: Whoever has the gold makes the rules! Honestly, it does seem to me that despite the baneful influence of Shepelin, the Russians and Americans are pretty nearly evenly matched at this point. At first glance, you’re right. But as with OTL, a lot of the Soviets’ apparent capability is being exaggerated by their early lead in launcher throw-weight. The US systems, though they appear to be similar, are actually considerably more sophisticated and capable. Dynasoar is a far better spaceship than Orel, and Minerva is more flexible than Proton. As for unmanned systems… well, let’s see next week! ....The R-56 was mentioned back in Part-II Post#8, and is largely identical in concept to its OTL namesake (which is why I kept the name). The same people attacking the same problem with a very similar context, so it seemed logical they’d come up with a similar solution. Michel Van made it look pretty interesting, but as far as I can tell it was stopped dead at the point you mentioned it ITTL, pretty much at the same time it was dropped /bypassed OTL by the more famous competition. Honestly is there any reason, other than the "grass is always greener on the other other side" principle to think it would work any better than the hypergolics in the same size range Chelomei liked dreaming up? Or for that matter N-1? From the Russian space pages Michel linked us to, I picked up how the big R-56 would have to move down Soviet waterways on a barge, being too big to move on railways--probably a big factor in bypassing it. (Chelomei's UR type rockets worked within the limits of what could go by rail, I gather, making then rather nobby assemblages of pipes). Oh, how I long for a timeline as serious about realism as this or ETS, where someone (most likely, the Americans in any world branching from one similar to ours in the 1950s) settles the matter of how to move really big, bulky rocket parts (or recovering first stage boosters for reuse, or anyway study, cleaning up, denial of study to rival powers, and stashing in museums) using cargo lifting airships! I'm dead serious and NASA did receive a proposal from Goodyear OTL (only for Saturn upper stages, not the first stage; the Guppy planes ultimately got the former job and no aircraft the latter) for a blimp-based carrier. But something built on traditional rigid airship lines could easily handle even stages massing a hundred tons; linear dimensions would be no problem, they could be whatever the rocket designer desires. Now I admit I go a bit crazy when allowed too far out along this tether (such as imagining a mega-aerostat to launch an entire Saturn V from the lower stratosphere ) but seriously a dirigible seems quite well suited to the job. In the 1950s the US Navy had long institutional experience with blimps, and even the US manufacture of 3 rigid airships for the Navy (and handling and maintenance of the most long-lived and reliable fourth, the German-built USS Los Angeles) was in living memory. For a long time the USA also had a monopoly on practically attainable supplies of helium--that changed some time after WWII, when gas fields with useful concentrations were found in Algeria and Siberia--I don't know just when either of these were discovered, but by the 1960s a Soviet dirigible design to haul big rocket parts around would be entirely possible, though a longer shot than the Yanks doing it. Except for two points--one; Americans went over to using solid fuel rockets a lot, and these, incorporating the full propellant load in the structure (and needing more propellant mass, albeit denser, since they have lower ISP) are pretty massive. I obviously am sanguine enough to believe an airship could be made to haul an integral version of the OTL STS SBRs,but I'd have to admit it would be a major rather than incremental extrapolation of the state of the LTA art! The Soviets on the other hand have disdained solids for the most part, so all their rockets would move empty and lightweight. Two, Americans can better afford to move stuff by water than the Soviets could. I know, Tsarist Russia was built on integrating a network of river trading routes, and with canals the Russian inland waterways are probably amazingly capable, but it's so indirect! And liable to closure with winter freezing I'd think. The Americans have the Mississippi and the intracoastal waterway. (Even so, with some contractors operating on the Pacific Coast, we did develop an airborne option anyway). So I'm not kidding, not at all. But I hardly expect Premier Evil Shemp's regime to come up with it. And with Minervas, the Americans can move everything in Pregnant Guppies if they want to. ...as with OTL, a lot of the Soviets’ apparent capability is being exaggerated by their early lead in launcher throw-weight. The US systems, though they appear to be similar, are actually considerably more sophisticated and capable. Dynasoar is a far better spaceship than Orel, and Minerva is more flexible than Proton. As for unmanned systems… well, let’s see next week! I distracted myself, I'm afraid. It isn't so much the lead in launchers I thought the Russians had at this point (both sides have 20 ton to LEO rockets that have undergone some testing and practice and are reasonably reliable, and neither has anything bigger)--it is rather the manned spacecraft component the Soviets have the American's don't. Looking back over the timeline, Zarya is a middle ground between Vostok and Soyuz. OTL when the Soviets wanted to contemplate any sort of manned lunar mission, even just a flyby, they immediately rejected Vostok as too primitive (a spherical capsule gives no aerodynamic control at all; brutal enough coming in from LEO, the G-forces would be terrible coming in from Lunar space if the TPS could possibly hold anyway) and therefore looked ahead--and this was the nucleus of Soyuz. One might then suppose that Zarya too is too minimal, but actually I suspect that it is just barely adequate, with improved TPS, for the Lunar flyby. It would probably be best to keep the mission down to just a single cosmonaut, but the flyby mission is "in Newton's hands" for the most part anyway. Any mid-course corrections would be minimal, aimed at refining the basic free-return trajectory, so one cosmonaut is adequate for what piloting is needed. With just one in the Zarya, designed for two, supplies should be adequate, and with the basic Zarya massing just 4 tons all up, there is a bit of growth margin to allow for a heavier heat shield and a generous propellant supply for the maneuvering engines, keeping the whole launched Lunar craft well within Proton's orbital throw weight despite using hypergolic fuels for TLI. The Americans have nothing like this. I suggested they could beef up a Mercury in the same way for the same mission launched from a Minerva, and have the advantage of more mass going to TLI due to having the RL-10 hydrogen fueled rocket on the shelf. But Mercury is obviously a lower place to start from, upgrading to get a one-man capsule that an astronaut can live in for a week and then survive essentially escape-velocity reentry in. Zarya is clearly superior in this respect. I suspect that except for the TPS, the capsule is almost ready for this mission as is. The Americans have something arguably way cooler for LEO, but the Dynasoar is much harder to upgrade to guarantee survivability returning at escape velocity, and massing far more than Zarya's 4 tons more than neutralizes the USA's throw weight to TLI advantage. Faget presumably can design something to put Zarya to shame, I guess. But it still has to be detail designed, criticized, passed by committees, awarded to a contractor, and then years of construction and revision are still in order before ordering an American astronaut to fly in the dang thing. For what it's worth, the Soviets already have Zarya. I was thinking of that, more than the launcher rockets, which are a push at this point. (Minerva may be going places Proton can't, but in 1968 they are in much the same place). The Proton is still new enough that perhaps something unfortunate will happen with one of its critical upcoming launches. Still, by 1968 it should be several years old; the wiki launch chronicle mentions three successful UR-500 launches and there might have been more, since a first launch in 1965, close to the OTL first launch. I suppose, rolling the dice, it is about time for one of the Proton's nasty failures. Still, the odds look good for the success of a Proton-Zarya Lunar flyby. And this is something that the Soviets have the hardware for pretty much ready to hand right now, and if they want to take their time to upgrade it, can reasonably accomplish significant improvements in just a couple years. The Americans have to invent a whole new spaceship. Michel Van made it [R-56] look pretty interesting, but as far as I can tell it was stopped dead at the point you mentioned it ITTL, pretty much at the same time it was dropped /bypassed OTL by the more famous competition. Honestly is there any reason, other than the "grass is always greener on the other other side" principle to think it would work any better than the hypergolics in the same size range Chelomei liked dreaming up? Or for that matter N-1? You’re correct, R-56 ITTL was not approved for development, but Yangel and Glushko have done a lot of the concept definition work and have probably kept tinkering with it in the back of their minds (or perhaps a bit more actively in the case of Glushko, as engines for R-56 could also be used on other heavy lifters, perhaps even a Proton upgrade). As mentioned here, I very nearly had the Soviet Cosmodrome set up in in the Russian Caucasus, with half an eye on future large rockets being able to access the canal networks. Alas, the reasons for Tyuratam getting selected (mainly an Army decision related to the stationing of downrange radio trajectory correction stations) appeared just too compelling IOTL and ITTL to be able to skew that decision. As the TL has progressed and the butterflies have flapped, I feel I’ve got a lot more editorial freedom in Part-III, but I hope it’s staying plausible. Oh, how I long for a timeline as serious about realism as this or ETS, where someone (most likely, the Americans in any world branching from one similar to ours in the 1950s) settles the matter of how to move really big, bulky rocket parts (or recovering first stage boosters for reuse, or anyway study, cleaning up, denial of study to rival powers, and stashing in museums) using cargo lifting airships! I'm dead serious and NASA did receive a proposal from Goodyear OTL (only for Saturn upper stages, not the first stage; the Guppy planes ultimately got the former job and no aircraft the latter) for a blimp-based carrier. But something built on traditional rigid airship lines could easily handle even stages massing a hundred tons; linear dimensions would be no problem, they could be whatever the rocket designer desires. Surely every decent Alternate World needs airships! It’s an interesting idea, and one I’ve not seen much explored. Fill up the empty stages with hydrogen gas and I guess you could handle even bigger dimensions. Looking back over the timeline, Zarya is a middle ground between Vostok and Soyuz. That’s about what I was aiming for. Without Korolev’s drive to push a manned launch at the earliest opportunity, Tikhonravov was able to design something more flexible. When Zarya came under Mishin’s OKB, he already had half an eye on future lunar missions, so this is definitely something that crossed their minds. Of course the devil is in the detail, and Chelomei is convinced his all-new Saphir would be a superior approach to trying to upgrade the 1st generation technology of Zarya. But then not many people are listening to Chelomei right now. Two further things to consider with respect to Mercury. First, it’s tiny. A man could survive a lunar trip stuck into such a small space, but by Day Four he might not want to. Second, Mercury at this point has been out of production for about 6 years, so a lot of the experience and tooling would have been repurposed to the point where it wouldn’t be much more effort to simply start with a clean sheet. How is that mistake happened ? you need to heavy modified that Stage for better isolation, so the stage can stay in orbit for 72 hours full fueled. Hydrogen certainly does have a tendency to boil off, having to be kept at just a few tens of degrees above absolute zero as it does. However, I think you are overestimating just how fast it boils off in LEO space here. It has been some years since I read a NASA history of the Centaur program, but IIRC before the 1960s ended, they demonstrated the capability of a Centaur stage to place a satellite in geosynchronous orbit using two burns. That is, it fired first from a LEO parking orbit (or from the end of its launch vehicle's, I suppose an Atlas, burn) to achieve the high transfer orbit that took it to the necessary altitude, and then at apogee fired again to circularize the orbit. The intermediate coast from LEO to GEO would take many hours, four at least. Yet there was adequate hydrogen fuel left over after the initial burn and subsequent boil-off to finish the job. I believe later editions of Centaur demonstrated the ability to do second burns after much longer latency periods than just 4 hours. Yes, some fuel does boil off, but not I think at the rapid rates you imply. I believe a Centaur in LEO, where it is in shade half the time, could hold at least half its fuel for days. Second, I'm sure you are exaggerating the time it has to wait in parking orbit! Why 72 hours? The Apollo Lunar missions also were fueled with hydrogen, and involved a hold in parking orbit before TLI burn. But that hold was not three days! I believe the nominal planned period was more like one single orbit, 90 minutes or so, and perhaps a longer period was allowed for as an emergency contingency. I suppose 72 hours might have been the maximum allowed for, after which too much hydrogen would indeed have boiled off the third stage TLI launcher, and so the mission to the Moon would have to be aborted. The Centaur is smaller, which means it has less fuel to lose, and by square/cube law I suppose it would lose more as a relative percentage per hour. Also details of design might have exposed it to more rapid heating even allowing for scale--though I suspect the opposite is true really. But in a nominal mission there would be no need to hold in orbit for any 72 hours! It would be more like 3. In that time surely the Centaur stage still retains most of its fuel and the mission can go as planned, burning it all up then for TLI. OTL it was only proven once, and that for an ablative-shielded Soyuz type capsule. At the very least the Air Force had better test it with unmanned models before simply assuming it is going to work on a Dynasoar planform. If the high weight does not bother you (11 tons versus a guessed-at 6 ton heavy Lunar version of Zarya, almost twice the weight (nearly 3 times the mass of a standard Zarya of 4 tons) and with a more cramped habitable space) just what sort of TLI launching strategy would you suggest the Americans use? A Centaur, if we set aside the boiloff worries, might just do it, maybe. But you think Centaur won't work, so what would you use? If the Americans use hypergolics or even kerolox engines, they will need something like twice the mass of whatever they intend to send to a Lunar flyby--overall then this mission with a Dynasoar would require 30-35 tons in LEO; no Minerva launcher mentioned yet can do that in one shot. Using a hydrogen rocket the whole thing could be launched on existing Minerva types. If skip return turns out to be too problematic for the Dynasoar planform, we also need to send some sort of TPS coating too, which pushes the mass up past what a Centaur can do. Or develop an American analog to Zarya. Even if the Americans can indeed make Dynasoar serve as a survivable return vehicle, it takes a combination of your optimism that it can handle the return (something I hope for but doubt) and my confidence the Centaur can do the job before its fuel boils off to do it with any launch vehicles they are projected to have before 1976. And that's just for a flyby! If they can do it at all, they will do it with greater cost (at least in opportunity cost terms), launching a bigger payload that accomplishes less. The only justification for trying seems to me to be that good or bad, Dynasoar is the only spacecraft for human beings the USA has right now. The design is definitely not optimal for long-term Lunar missions. Making it bigger, either to moderate the reentry problem or to raise its habitability for larger crew, will only raise its mass. IMHO if Faget and the Air Force can come to agreement on a lenticular craft with high hypersonic maneuverability but a more mass-efficient design than the winged spaceplane, there might be a prospect of a universal vehicle. Otherwise we pretty much have to be looking at specialized capsules for deep space missions, and possibly DynaSoar survives in modified form as a personnel shuttle. Even as the first DEL missions were raising questions about the effectiveness of humans in space, continuing advances in electronics and robotics were enabling increasingly complex and valuable missions to be performed without the need for an in-space crew. At the forefront of this trend was the National Environmental and Space Sciences Administration. Since its creation in 1964, the NESSA had moved quickly to consolidate a number of disparate science programmes under its control, with an early thrust being the development a network of civilian weather satellites. The Defense Department had already been secretly funding the Defense Meteorological Satellite system to provide a network of military weather satellites operating from geostationary orbit, but the quality of weather forecasting was also critical to many civilian activities (especially farming and fishing, in which many members of Congress took a keen interest). At that time, accurate weather forecasting more than a couple of days in the future was impossible, and so the need for an open, unclassified network of weather satellites with global coverage was apparent. In response to this need, in late 1964 NESSA established the Tempest project to develop a series of weather satellites operating in near-polar, sun-synchronous orbits. These orbits would allow for global coverage at fixed lighting conditions, with a suite of infrared cameras and radiometric sounders providing previously unobtainable detail on temperatures, cloud movement and air pressure. The low orbits used also made it feasible for ground-based weather stations to use the satellites as relays, without the need for large parabolic dishes on the ground. Stations in remote locations, or even floating on the high seas, could use small, low-powered radios to forward their measurements up to the Tempest spacecraft, where they would be recorded on tape and downlinked as they passed over NESSA’s control centre in Houston. This idea was further expanded to allow a similar uplink for distress beacons from ships at sea, alerting emergency services to the location of ships in distress anywhere in the world. The first Tempest satellite was launched on an Atlas booster in May 1967, into a “Mid-Morning” sun-synchronous orbit in which the mean local solar time at the descending node was 10am. A second Tempest spacecraft followed in 1969, operating in the same orbit but 180 degrees behind Tempest-1. Tempest-3 was launched in 1971, six months after Tempest-1 failed on orbit. With control of the DoD’s two on-orbit DMS-GEO spacecraft being transferred to NESSA in 1970, America had 24/7 coverage of both seaboards from geostationary orbit as well as continuous global coverage from polar orbit. By 1972 weather forecasts were considered accurate out to 3 days and were starting to give reasonable indications of weather conditions up to a week in the future. In addition to this, the Disaster Beacon system was estimated to have saved over a hundred lives at sea, with more saved on land thanks to the improved tracking of hurricanes now possible. The project also provided a rare area of US-Soviet cooperation in September 1970 when Secretary of State Kennedy announced an agreement with his Soviet counterpart on the hosting of mutually compatible Disaster Beacon relays on the satellites of both nations. In comparison to the achievements of NESSA, Soviet unmanned ambitions were hindered by the general lower level of reliability of their equipment, a problem which neither Mishin nor Chelomei had managed to completely resolve. Soviet spacecraft therefore generally suffered from shorter lifespans than their American equivalents. This was not so much of a problem for Earth orbit missions such as reconnaissance, communications or weather satellites, where the lower costs of Soviet launchers (where such costs could be reliably tracked for comparison) meant that the USSR could support higher rates of replenishment for their unmanned assets. This in fact could even be an advantage, with the Soviets having more frequent opportunities to try out new technologies than the Americans. However, a higher launch rate was less helpful for deep-space exploration missions requiring many months of transit, and so much effort was expended in the mid-’60s in trying to improve the reliability of Soviet interplanetary probes. Whilst the weather satellite programme was probably the most economically valuable mission under NESSA’s authority, it was not the most eye-catching. More high profile were the increasingly complex series of planetary probes operated by the agency under the Pathfinder, Surveyor and Pilgrim projects. Largely run out of NESSA’s Bay St. Louis facility, these were intended as a consolidated, logical progression of space probes to explore the solar system in a far more systematic way than had been the case under the stewardship of the Air Force and Navy. Although specific details would vary depending on the mission target, the general principle was that other planets would first be visited by one or more pairs of flyby probes, operated under the Pathfinder name. Based upon the results from these probes, orbiter Surveyor missions would be launched, carrying an instrument load crafted to investigate the most pressing questions uncovered by the Pathfinders. For particularly challenging or complex undertakings like surface landings or the return of samples to Earth, a Pilgrim-class mission would be defined. In all of these cases, the instrument load of the probes would be selected by competitive proposals from the scientific community. Once selected, these instruments would be incorporated into standard spacecraft “busses” for the Pathfinder and Surveyor missions, with Pilgrim spacecraft being bespoke developments based upon the specific demands of their mission. Although the specific schedule would depend upon launch opportunities, NESSA hoped to launch at least two Pathfinder probes every two years, with Surveyor missions targeted for one every three years and one Pilgrim mission every five years or so. Despite the hallmarks of systematic design and commonality built into this approach, NESSA’s first Pathfinder mission was actually not a true “Pathfinder” at all. At the time of NESSA’s creation in 1964, JPL had already been proposing a Mars flyby probe to the Air Force for the 1966 launch opportunity as a response to the NRL’s Mariner-5 and -6 probes. The Pathfinder Program Office at NESSA immediately latched on to this proposal as a way of quickly establishing the new agency’s credentials. Further deviating from the original concept, this Pathfinder-1 mission would involve a single spacecraft launched on an Atlas-Centaur from Cape Canaveral. With the costs of getting the agency up and running, including a major upgrade of the Deep Space Antenna Complex at Goldstone, California, funding for a second 1966 Pathfinder was unavailable, with the team at Bay St. Louis preferring to use any surplus funds on the development of the “true” Pathfinder bus for future missions. For all these reasons, Pathfinder-1 was considered to be a particularly risky mission, but in the end the gamble paid off. A perfect launch in December 1966 was followed by a textbook flyby in August 1967, returning more data on the planet itself as well as capturing several snapshots of the moon Deimos as Pathfinder-1 sped through the martian system. Mars also remained on the agenda in the USSR. 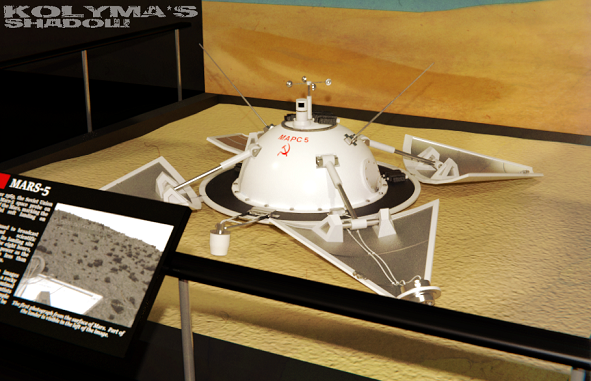 Following on from the success of the Mars-3 orbiter, Chelomei planned to repeat the mission with a modernised version of the TMK-Mars platform, in particular incorporating modifications to the Safir-shaped landers. However, a combination of escalating costs, technical difficulties, and lack of political support meant that the two new TMK-Mars spacecraft could not be made ready in time for the 1967 launch window, and instead slipped to 1969. This allowed Mishin to steal a march on Chelomei with the launch in June 1967 of Venera-2 and -3. On this attempt, both of the Venus-bound spacecraft made successful fly-bys of the planet, but the real highlight came when Venera-3 released a small armoured probe into the Venusian atmosphere. This probe penetrated to within ten kilometres of the surface before pressures of almost 30 bar and temperatures of 250 degrees Celsius finally killed its delicate electronics, having made the first direct atmospheric measurements of an alien world. When the Mars launch window finally re-opened in March 1969, Chelomei was ready with his Mars-4 and -5 spacecraft. The expansion of Tyuratam over the previous four years meant that this time the Proton launchers for both spacecraft could be prepared in parallel, with the extra time a care taken meaning there was no repeat of the failure of 4th August, 1965. Both rockets lifted within two days of each other, depositing their respective payloads into the desired transfer orbit. The long cruise phase passed uneventfully, and in November 1969 both probes released their landers before commencing their Mars Orbit Insertion burns. It was at this point that the Jinx of Mars struck once more, with Mars-4 refusing to light its engine and sailing past the Red Planet to continue on a solar orbit. Three days later Mars-5 successfully completed its burn and was captured into an elliptical orbit. Meanwhile, the two landers had continued plummeting towards the surface. Their improved heat shields and parachutes worked as designed, and both survived re-entry intact, with the Mars-4 lander touching down with a jolt in the Terra Serenum region, whilst Mars-5 landed three days later in Hesperia Planum. Unfortunately, Mars-4 apparently landed hard, as the probe only transmitted from the surface for a few seconds before falling silent. When Mars-5 started sending back its images a few days later though, any initial disappointment was wiped away by the stunning black-and-white vistas it revealed. Mars-5 continued to send back photos and other measurements for almost eight hours before its batteries finally gave out, succumbing to the bitter cold of the Martian night. Shortly after the Mars-4 and -5 probes had blasted off, they were joined in space by the next American Pathfinder mission. Seen by many as a response to the Soviets’ success at Venus, perhaps more importantly it would see the start of “business as usual” at NESSA’s planetary exploration division, with the twin Pathfinder-2 and -3 probes launching to Venus in May 1969 on Minerva-1 rockets. Based on the common Pathfinder bus, the probes were not quite identical, with half of the instrument payload being different between the two spacecraft. This was done partly to allow for a greater variety of measurements at Venus, but also to increase the number of universities able to contribute to the mission (and so increase NESSA’s support base in the scientific community). Pathfinder-3 even included a spectrometer from the University of Toulouse in France, in one of the first instances of cooperation between NESSA and the European Space Research Organisation. Both probes reached their destination safely, emboldening mission controllers to redirect Pathfinder-2 to point its main antenna at Venus as it headed away from the planet in an attempt to use it as a radar system. Although little scientific knowledge was gained through this experiment, the engineering data obtained proved extremely helpful in validating the future Venus Radar Surveyor spacecraft, which was already under construction at that time. As the Pathfinders continued to scout out the other planets, the Surveyor programme started out closer to home, with the December 1968 launch of Lunar Surveyor into an orbit around the Moon. Following in the footsteps of 1962’s Pioneer-6, the 700 kg Surveyor carried a suite of seven instruments on a two-year mission, producing detailed maps of the entire lunar surface as well as a wealth of data on the lunar radiation and electromagnetic environment that would later prove crucial in planning for Project Columbia. Perhaps most importantly, Lunar Surveyor’s lower orbit compared to Pioneer-6 allowed her to confirm and then map variations in the Moon’s gravity caused by so-called “MASCONS”, parts of the Moon having significantly greater density than the rest of the surface. The mapping of these anomalies would allow for better mission planning for future unmanned missions, with the first example being Pilgrim-1. Launched in May 1970 atop a Minerva-24, the 4.5 tonne Pilgrim-1 touched down in the Mare Tranquillitatis on 12th May, becoming the first man-made object to successfully soft-land on the Moon (as opposed to an impactor mission like 1962’s Pioneer-5),. The eerie photos returned showed a sun-blasted, featureless grey plain stretching out to an ink-black horizon, which led to a certain sense of anticlimax in some sections of the press (“Boundless Desolation” was the headline on page 5 of the London Times). However, if the location (selected for its safety as a landing site rather than its aesthetic properties) proved uninspiring, the technical achievement remained impressive, and would become more so. For Pilgrim-1 was not just a lander, but also included a small return rocket topped by a miniature re-entry vehicle. Two days after touch-down, carefully guided by operators on Earth, Pilgrim-1 scooped up a sample of regolith and transferred it to the re-entry vehicle. The return stage fired successfully, and a few days later the sample capsule was snagged in mid-air by an Air Force C-130 Hercules over the Pacific Ocean. The capsule was in perfect condition, with its 120 grammes of moon dust sealed safely inside, ready to be studied by labs across the United States. The Pilgrim-1 lander meanwhile continued to radio back its observations from the Moon’s surface for a further ten days, before shutting down in the freezing lunar night. most study give storage time of 72 hours, if second launch is delay do weather or some idiot moving true launch corridor, technical reason etc. also were study who used a dozen centaur in orbit to launch moon mission ! if Centaur has isolation on it's Tanks and Lox tank is isolates from Hydrogen tank, it could stay longer fuel in orbit. But if NACAA administration and Max Faget share same confidence like Boeing, is another Issue of Kolyma's Shadow. 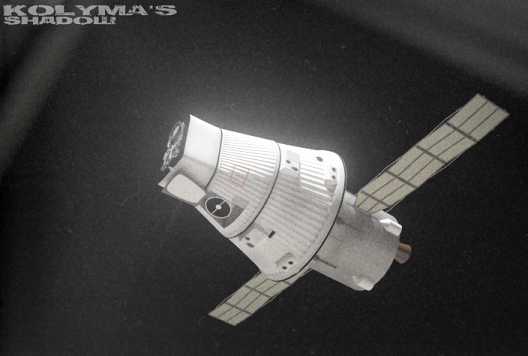 If DynaSoar really could return from Luna without heavy upgrades to TPS (presumably by a skip-orbital maneuver) then the Americans don't need to use EOR to use the Centaur; everything needed can go up on one heavy Minerva, so it would be like a miniature Apollo mission in that respect. But sadly marginal; if the Americans had a spacecraft as mass-efficient as Zarya they could do a minimal flyby like that with a smaller launcher, or possibly get more value out of the heaviest launcher (such as enable a Lunar orbital mission) immediately. ITTL, the UR-200 was taken from Chelomei and handed over to Yangel IIRC, and perhaps then Yangel left it alone on the "Not invented here" principle. In this case perhaps no one ever got around to developing the hypergolic third stage that defined the Proton as we know it OTL, with the capabilities I have assumed. Now, looking at the Vehicles page of the thread's wiki I have to admit it does not look like the Soviets currently have an 18 ton to orbit launcher in stock; the UR-200 "Kosmos" can place 9.5 tons in orbit; the baseline M-1 "Zarya" can manage 9.37. There is also an upgrade to M-1 using the same third stage Mishin developed back in the early '60s to enable Zarya to launch on top of the R-6; it offers the highest performance at 10.66 tons. All of these are far short of the 18 I've assumed. So the question is, does this page represent the total Soviet inventory of heavy-launch capability, or not? Is there in fact a three-stage hypergolic "Proton," or is "Proton" and "Kosmos" one and the same? Do any of Yangel's heavy missile launchers match or exceed these specs? We don't know. Assuming these rockets are the best the Kremlin has on hand when Muskie announces Columbia, I am quite wrong to believe they can do the flyby immediately. They need something heavier, or else to plan a simple flyby using Earth orbit rendezvous. Or, the Mishin M-1 Zarya version and the UR-200 are neck-and-neck in terms of capacity right now; if Mishin's team, working with Glushko, has been using the past 5 or 6 years to come up with improved ker-lox engines their superior ISP would favor developing a bigger third stage for the M-1 than already employed; presumably a ker-lox stage comparable in size to Chelomei's OTL 3rd Proton stage could be added to the M-1 to double its orbital capacity,and then that capacity could include a fourth ker-lox TLI stage for a Zarya craft. Or Yangel might have something in inventory that can be lashed on to either of these base rockets, or one of his own, to reach the goal. In these cases, it will clearly take some time to build and test these two extra stages. But again, it seems an easier problem than the one facing the Americans, unless the DynaSoar as it is is indeed capable of making the reentry. Considering the possibility that it is, perhaps I should reverse my judgement, and say it is the Americans who can launch a minimal flyby mission "tomorrow," and realize the Russians are the ones who have to play catch-up. Another question is whether Boeing's apparent confidence in stretching the DynaSoar platform to returns at translunar velocities was based on serious engineering number-crunching, or whether the marketing division was encouraged to go nuts with visionary schemes to wow the DoD and Congressional committees, and if pressed on the more out-there options, answer that of course the more long-range prospects need further development--which they were "confident" the engineers would deliver, in the fullness of time! Were they assuming skip-to-orbit returns to cut the full thermal load into two pieces as I have been hoping might work, or were they assuming a TPS that could take the full load all at once? The latter seems pretty Utopian and a matter of 1960 engineers speculating on what miracle substances they might have at hand a decade later; the former requires verification in aerodynamic practice. I have to admit, a skip-to-orbit probably doesn't require the Dyna-Soar to do anything it doesn't do in normal returns from LEO speeds--the encounter happens at twice the speed but in air that is half as dense or less, to keep the maximum heating rate the same. I was alarmed at the idea of maintaining control while barreling in bottom-side-forward, but I guess that is exactly what it does during the initial phases of a normal reentry anyway, so it must work. So unless the author reveals that actually the Soviets do have a Proton comparable to OTL's as of this date, I'm going to have to apologize and reverse the judgement, and think it is the Americans who can do a flyby right now, with what they've already got in inventory. It still remains the case that although the DynaSoar might be able to get the job done after all, it is an expensive way of doing it. Massing almost double the Apollo CM, it has less living space; those five extra tons represent a considerable cost considering that for an ambitious LOR landing program, or even a middle-ground lunar orbiting mission, it has to be boosted three times (TLI, LOI, TEI) meaning either the Americans have to develop heavier rockets for the purpose or sacrifice capability--both, it looks like to me. Another thing we need to consider before guessing at Lunar DynaSoar--the spaceplane is very much the baby of the USAF and sold to Congress and the public as a military spacecraft. President Muskie's purpose in announcing the Columbia program however is to try to distance the image of high technology from a military handmaid to a broader benefit to humanity; he is addressing mass social disaffection with the military-industrial complex. Therefore he seems likely to favor a clean sheet, suggesting the Americans are going to go in a different direction now. And speaking of new directions, how about the nuclear option you mentioned before, Michel? Considering the possibility of a nuclear powered moonship; long ago in this thread I suggested maybe the moon landing phase would indeed wait for the development of nuclear rockets. But that was back in the old Mercury/Zarya race days. We've heard nothing about such technologies being developed. 2) although where we would most like to see a revolutionary breakthrough in rocket capabilities is in the daunting matter of launching heavy masses off of Earth's surface to orbit, nuclear thermal rockets offer little hope of success there. They are inherently heavy, requiring a dense concentration of fissionable materials, only a fraction of which is putting out power at any given moment. Add to that radiation shielding necessary to prevent the payload (especially a human crew) from being fried, and bear in mind that OTL testing tended to result in a certain amount of core material sputtering into the exhaust stream and nuclear thermal boosters seem like a terrible bet. Instead, we are looking at old-fashioned chemical rockets lifting a possible nuclear stage into orbit, and the nuke doing its work in deep space only. This also sidesteps the issue of the hazards involved should a nuclear booster rocket fail in mid-burn; pretty much by definition such a failure means the damaged core elements coming down like a meteor somewhere on Earth, whereas a fiasco involving a deep-space engine would not automatically mean a crash on Earth. But it means that we can look forward to no revolution in mass put into orbit, save only by means of the massive investment in a massive new chemical rocket and its gargantuan construction and launching infrastructure such as was done OTL for Saturn V. Any nuclear stage launched into orbit is going to mass 20 tons or less. Perhaps this is just the "dry" engine and tankage, and the propellant will go up on later launches? Maybe--then we are talking about a great many launches though. 3) You didn't like the idea of relying on Centaur in orbit, due to its hydrogen and the fact that it boils off? Well, a Centaur version with say 14 tons of fuel has only 2 tons of hydrogen, the rest is oxygen! Hydrogen is really the only propellant for a thermal nuclear rocket that makes it worthwhile; heavier molecules reduce the ISP down to levels we could just as well achieve chemically. To do the same job as 14 tons of hydrogen-oxygen chemical mix, we might need only a third or less of the total propellant mass--but that lower mass must all be hydrogen, meaning that our nuclear version has actually 5 or so tons of it, versus the two in the chemical version! True, no LOX tank to roast the hydrogen with--no, nothing but the payload on one side, and the engine's own radioactive core on the other, plus sunlight of course. The hydrogen tank will be so bulky that the stage, although far lighter than the chemical version, would be bigger in linear dimensions, and will pick up a lot of sunlight. If hydrogen boil-off concerns you so much, as perhaps it ought to concern me, the nuclear rocket will have that problem too. 4) during operation, the nuclear plant will put out a lot of neutrons and gamma rays; this is what shielding exists to attenuate of course. But cutting it down and eliminating it are not the same thing at all; the crew or payloads will be subjected to some serious radiation in operation. Furthermore, even after it has fired and is shut down, the core will remain "hot" for some time. Plans for a nuclear powered transfer vehicle in the late 60's OTL involved recognizing that the crew would be exposed, and that was with protection of a plug shield--most of the radiation would escape free and unshielded and the intensity of that field would have been such that other spacecraft would be advised to stay many hundreds of kilometers away. This obviously complicates operations considerably! For instance, even if the thrust/weight ratios are favorable enough, we could not contemplate using such a nuclear engine for landing on the Moon or other bodies, as the crew would be unable to leave the lander once it is down, without entering the "hot" zone that would kill them. I've actually imagined a DynaSoar-Columbia mission with nuclear propulsion in my head; with a LOR strategy and an OTL LM identical to Apollo's. It might work on paper, I suppose. But there would be little grounds for confidence the crucial engine would be fully developed before the 1976 deadline.